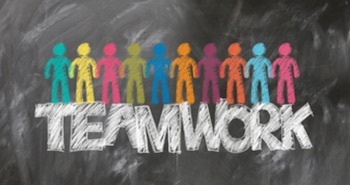 The most successful commercial property investors work as a team. Sure, it might be your name on the ownership papers but it took a team of people to get you there. To make a sound commercial property investment, it pays to get as much help and advice as you can. It’s not just about making up for your weaknesses; it’s about making good use of the skills of professionals. Gather the right team around you and together they will act as your advisor, your conscience, your voice of reason, your protector and your sounding board. The right team will understand your goals will work hard for your success. Here are the five people we think it’s worth selecting carefully and investing in. Be open about your expectations and goals. Be a person and be personable. If you want someone to go above and beyond, first and foremost, they’re going to have to like you. Think twice before flicking an email – could you pick up the phone and have an actual conversation? Find a connection. It doesn’t always have to be work, work, work. Having something in common is a great icebreaker. Budget for coffee. Going out for coffee is a nice way show your appreciation for someone and you can still talk business. Share your successes. If things are going well, thank the people that helped you – a card, a bottle of wine, tickets to a movie. Everyone likes to feel appreciated.